8th June 1829, Southampton, Hampshire, England. Christened John Everett Millais. John Everett Millais was the son of John William Millais, gentleman of leisure and Emily Mary Evamy, daughter of a prosperous commercial fisherman. Sent home from the local school on Jersey and educated by his mother. Royal Academy Schools, London from the age of 11. 1838: Millais moved to London and studied at a drawing academy led by Henry Sass. 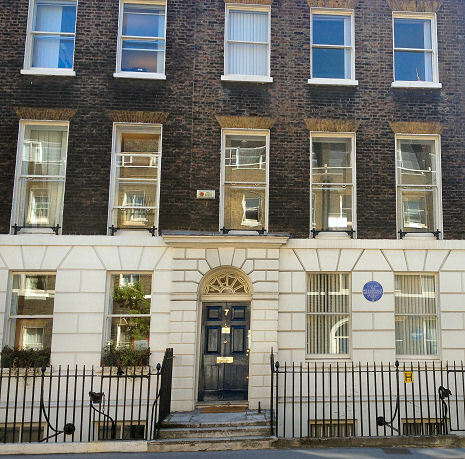 1840: Entered the Royal Academy Schools. 1846: Exhibited his first picture at the Academy, “Pizarro Seizing the Inca of Peru”. 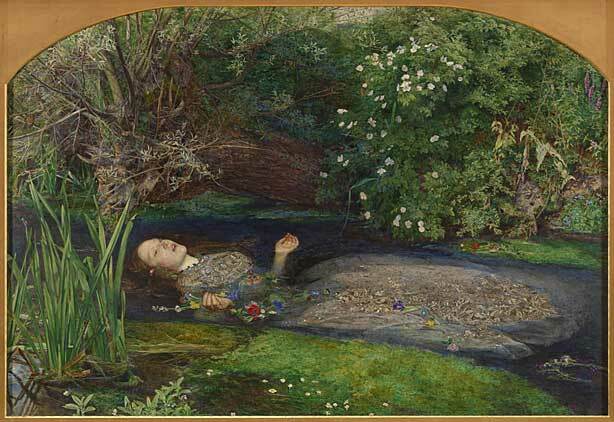 1848: Founded the Pre-Raphaelite Brotherhood with Dante Gabriel Rossetti and William Holman Hunt. in September in the Millais family home. 1849: Millais started painting “Christ in the House of his Parents” in the winter. 1850: The picture of Christ was signed PRB for Pre Raphaelite Brotherhood and received a hostile reception at the Royal Academy. 1851: John Ruskin defends the brotherhood in the Times newspaper. 1852: Millais became an Associate of the Royal Academy. 1857: Millais’s painting “Sir Isumbras” was heavily criticised by Ruskin at an exhibition at the Royal Academy. 1860: A revival of his popularity with the public began with the exhibition of the detailed “The Black Brunswicker”. 1862: Millais settled in London. 1863: Millais became a full Member of the Royal Academy. 1870: Painted “The Boyhood of Raleigh”. 1871: Millais painted large mythical landscapes such as “The Martyr of the Solway”. 1873: He began to do more portraits including the successful “mrs Bischoffsheim”. 1878: Millais had a successful show at the Paris Universal Exhibition and was awarded the Medaille d’Honneur and created an Officer of the Legion d’Honneur. 1881: Painted a portrait of Alfred Lord Tennyson. 1885: Millais created a Baronet. 1886: Painted “Bubbles” for A and F Pears Ltd the soap manufacturers. This went on to be a highly successful advertising picture. Held an exhibition of 159 works at the Grosvenor Gallery in London. 1896: Millais elected President of the Royal Academy of Arts but was already suffering heavily from cancer. July 1855: To Euphemia Chalmers Gray (known as Effie). Formerly the wife of John Ruskin. 13th August 1896, London, England of cancer. Statue outside Tate Britain. Paintings inside. Museum and Art Gallery, Hove. Brighouse Smith Art Gallery, Brighouse. Museum and Art Gallery, Perth.